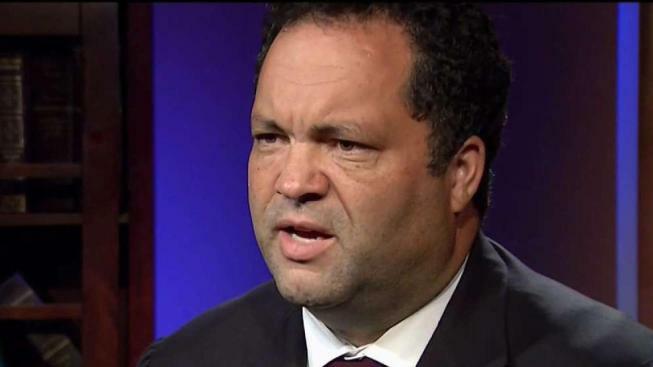 Democrat Ben Jealous is far behind Republican Gov. Larry Hogan in campaign funds with 70 days left until Election Day, a striking reversal of the usual circumstances in a heavily Democratic state. Jealous reported having about $386,000 cash on hand Tuesday, compared to $9.4 million reported by Hogan, for fundraising reports for the period from June 11 to Aug. 21. Hogan, a popular incumbent, went unchallenged in the June 26 primary, and Jealous had to spend money in his crowded primary to win the nomination. Also, the overall fundraising disparity isn't as vast for the period covered in the latest report: about $1.1 million for Jealous and about $2.5 million for Hogan. Still, the overall financial edge to Hogan is undeniably stark in a state where Democrats outnumber Republicans 2-1. The Jealous campaign is counting on the high voter turnout of a "blue wave" in November. Travis Tazelaar, Jealous' campaign manager, wrote in a memo to supporters that the wave of Democratic voters in Maryland will be "large enough that not even the millions of dollars in negative advertising from Larry Hogan will be enough to stave off a Ben Jealous victory." Jealous' campaign also noted that Hogan was outspent in 2014 when the Republican won in an upset. "In the same way that the 2014 Hogan campaign was outspent in 2014 and won due to depressed turnout, the Jealous campaign will be outspent in 2018 and will win due to banner turnout and a strategic turnout and messaging operation," Tazelaar wrote in a memo to supporters. Jim Barnett, Hogan's campaign manager, described Jealous' low fundraising as another setback to a campaign that has suffered from negative headlines in recent weeks. Earlier this month, he apologized for using an expletive when responding to a reporter's question about whether he identified with the word "socialist" that has been used by his opponent's campaign to describe him. Last week, Jealous' campaign removed a like from his Twitter account for a six-month-old tweet that described corrupt police and the (hash)BlueLivesMatter movement in vulgar language. A Jealous campaign spokesman said Jealous didn't like the tweet and that it doesn't represent his views. "This fundraising report is just the latest indignity to face the Jealous campaign, but today stands out for the darkness of the storm clouds that have gathered over them," Barnett said. Jealous also has been behind in polls, and Hogan's approval rating has been above 70 percent. Todd Eberly, director of the Center for the Study of Democracy at St. Mary's College of Maryland, said a solid fundraising showing by Jealous could have helped change the narrative of his sagging polling numbers. Eberly noted that the Democratic Party and Anthony Brown, who was the Democratic nominee who lost in 2014 to Hogan, raised about $18 million to spend in that race. Hogan won with public campaign financing. "There should be no problem with a Democratic candidate raising a significant amount of money," Eberly said. Mileah Kromer, director of the Sarah T. Hughes Field Politics Center at Goucher College, questioned whether the "blue wave" will be a self-sustaining force in Maryland. "Will the blue wave come organically to Maryland or does it need campaign advertisements, thus campaign funds, to fully realize it?" she said.